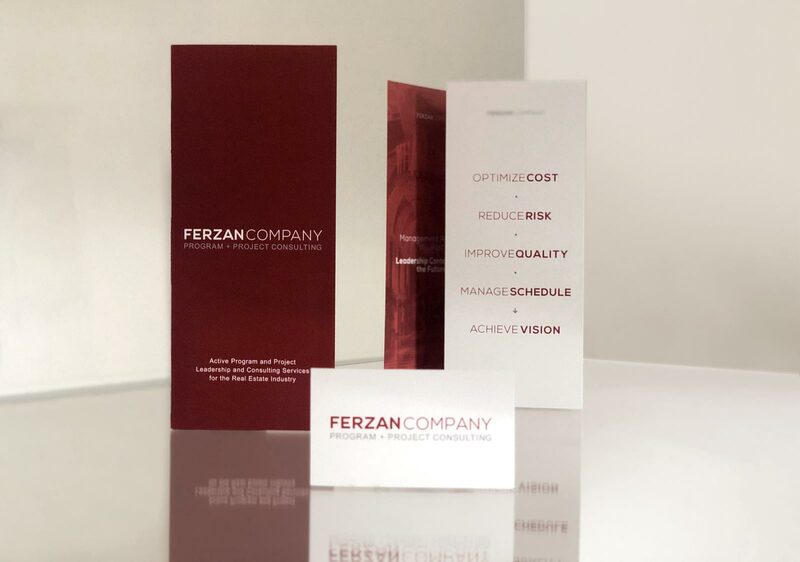 Creating clarity in a complex industry was the primary goal of our designs for Ferzan Company. Based in New York City, the new project management company provides leadership services for large scale architectural developments. Their services, which often span many years, range from strategic planning in preliminary phases to oversight and monitoring on active construction sites. Additionally, their clientele ranges from local hospitality projects to international residential developments. That broad array of services provided a challenge in their messaging. Our brand design package created a consistent visual language for every encounter a client (or potential client) had with their brand. The stark color palette and simple typography allowed the streamlined copywriting to be easily read and understood. The design then disappears, which creates legibility for the most important information: Defining what they can do.